Proper engine break-in is equally as important as a proper rebuild. Here, we'll go over a checklist to make your build will last, as well as a step-by-step break-in process. Putting in the time and money to rebuild your motorcycle engine is both a critical job and a prideful accomplishment. The feeling of an engine failure right after a rebuild is a sinking one, and will most likely stir up a mixture of frustration and disappointment. We want to help as many people as we can avoid that feeling. So, we've put together a review checklist for your rebuild, followed by a general engine break-in procedure, because your motorcycle should bring joy and fun to your life, not take tufts of hair out of your head. We'll start with a quick review on the motorcycle top end rebuild. Be sure these critical steps and precautions have been taken. If you find any concerning discrepancies, it's worth it to pull back apart and double check. Be sure that you have proper piston to cylinder clearance. Recently, a cylinder was bored with requested .0035” clearance. This machine shop has been in the area for over 30 years. When complete, it looked like it was tighter. He slipped the piston through the cylinder a few times and said, "It's okay." He was asked to check again, which he refused, and said that it was correct, and that he was too busy. Back in the Brew Bikes shop, it was double-checked, and clearance was .0015”. Yes, way too tight. Don’t just take someone’s word that clearance is correct, always double check it! Always double check your piston-to-wall clearance. Was the honing of the cylinder properly done? 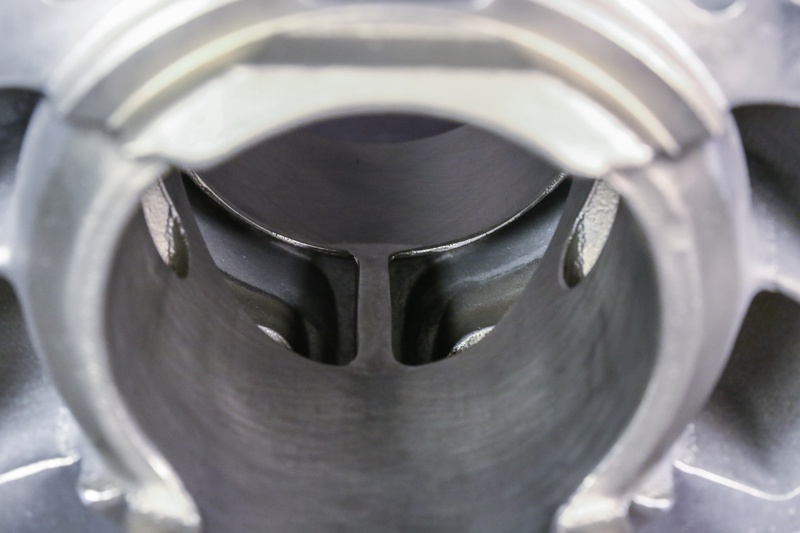 Honing is required to be done after boring, and if the cylinder was not bored, it still is needed to deglaze the cylinder for proper ring break-in. Different honing tools are better used for different applications, with common tools being brush hones and flex hones. Safe grits and hone materials depend on the cylinder finish, so check your manual or with the cylinder shop for a recommendation. Be sure that the crosshatch is at 45 degrees. 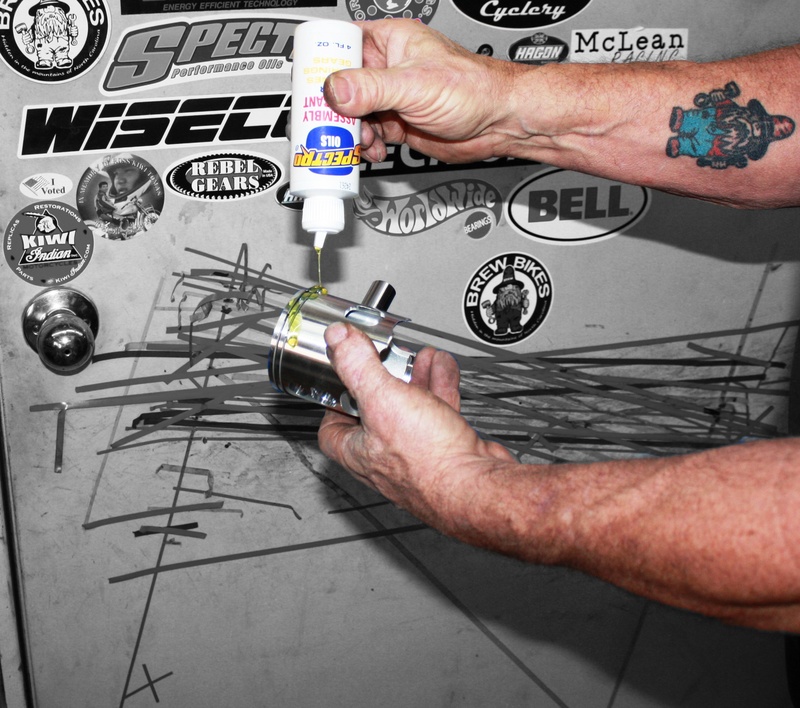 The proper crosshatch will retain the proper amount of lubricating oil while allowing the rings and piston to break-in. Too little of crosshatch or too much will not allow the rings to break-in correctly and never get the proper sealing they were designed for. 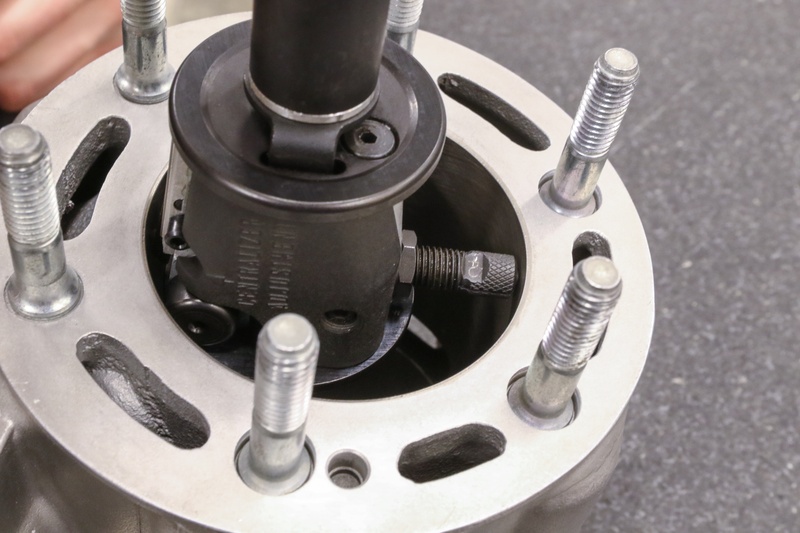 Read our full guide to cylinder prep. After proper honing and deglazing, your cylinder wall should have a consistent, 45 degree crosshatch. If the bike is a 2 stroke don’t forget to chamfer the ports. If it has a bridge in the exhaust port, most pistons require this area to be relieved. READ the piston specs, and if you don’t understand, be sure to reach out to Wiseco for specifications. 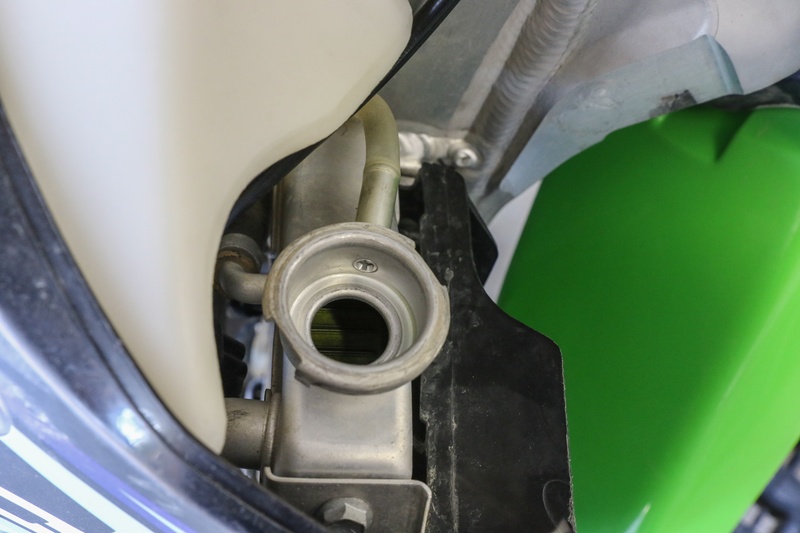 Read our guide to relieving the exhaust bridge in 2-stroke cylinders. 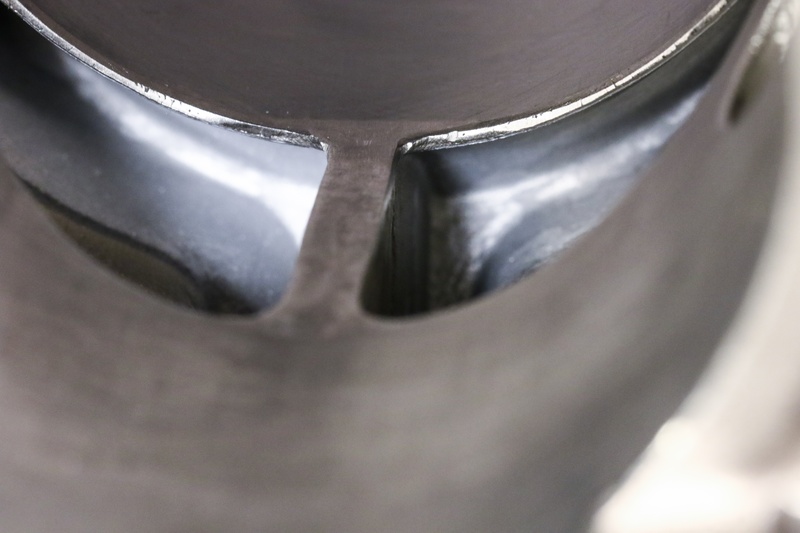 A critical step in 2-stroke cylinder prep is port edge relief and exhaust bridge relief. 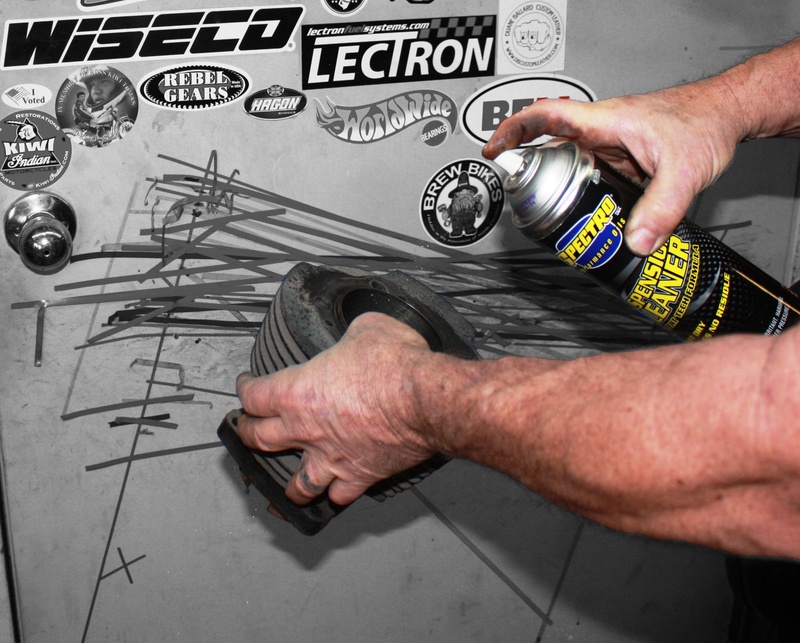 This will help ensure smooth piston and ring operation, and combat accelerated ring wear. Be certain that the ring gap is within specification. Don’t assume it is correct, check it. Always double check your ring end gap. 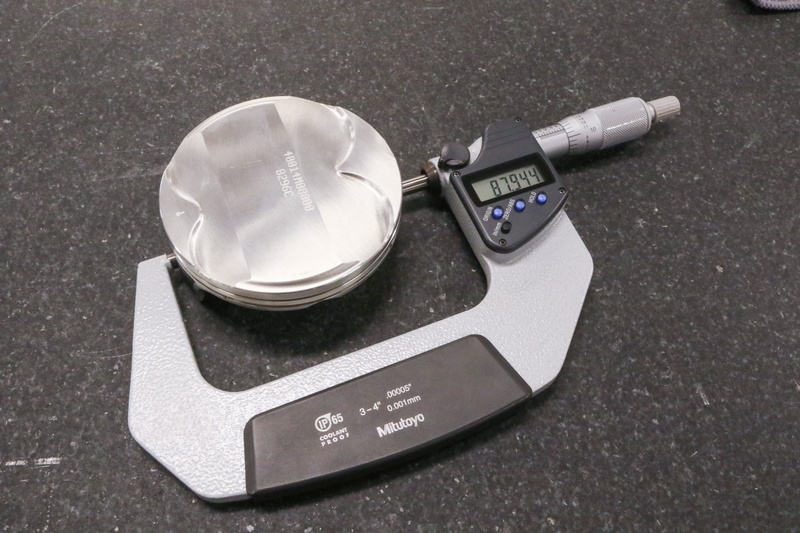 With your compression ring in the cylinder, measure the end gap with a feeler gauge to ensure it's within the spec included in your piston instructions. Proper cleaning of the cylinder. Before you start cleaning make sure the gasket areas are clean with no residue of gasket or sealers. First, use a cleaning solvent with a brush and then again with a rag. This is not enough, and you will need to clean with dish soap and water. Using a clean rag you will be amazed on how much grit from the honing is still in the cylinder. Be sure to clean the piston also. Thoroughly cleaning your cylinder for a rebuild is critical. Be sure all old gasket material is removed, and use a 2-step cleaning process of solvent with a brush and rag, followed by soap and water. When the cylinder is clean and dry, you should be able to wipe the cylinder wall with a clean rag and not see any honing material residue. Then before assembly, use plenty of assembly lube on the cylinder and the piston. Don’t forget to lube the piston pin and bearing along with the rings. Assembly lube on the piston, rings, cylinder, pin, and bearing is important for proper break-in. 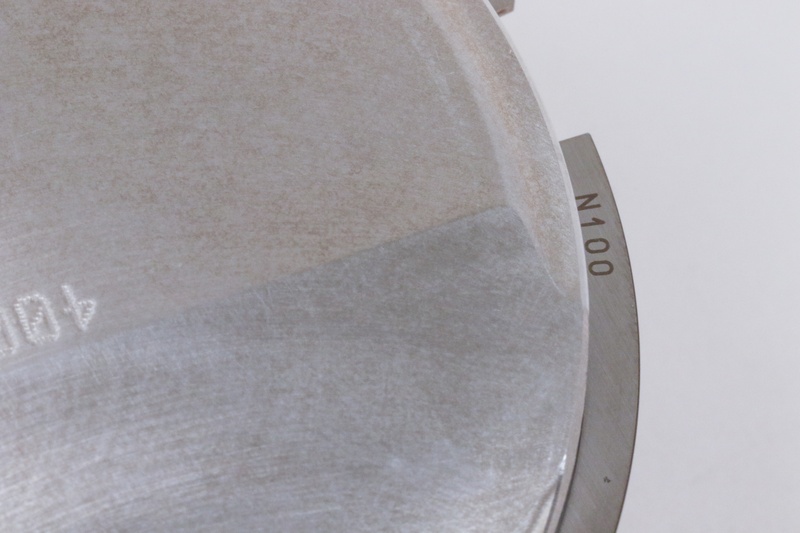 Many rings have a topside for proper sealing. Double check this and be sure the proper ring is on the proper landing on the piston. Again, read the instructions that came with the piston. 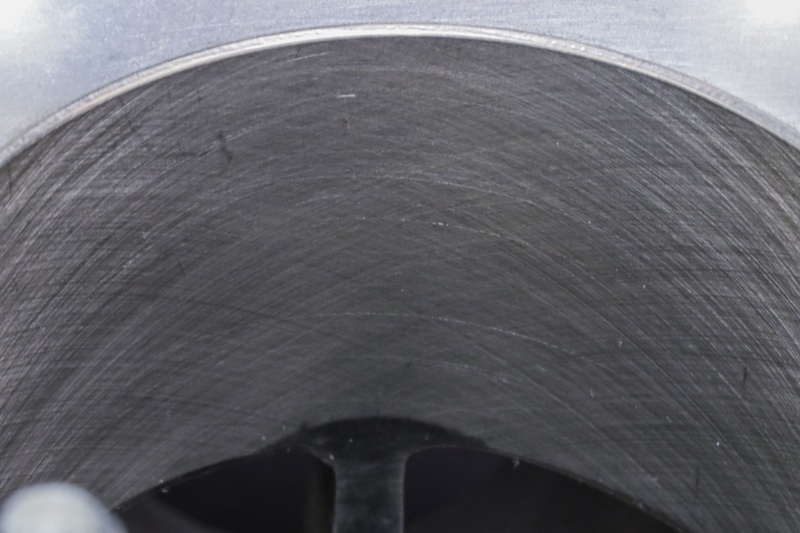 Piston ring markings vary, but the marking should always face up when installed on the piston. The gaskets and quality play an important part of engine rebuilding. If a gasket is thicker than the original, it could result in a loss of power. Worse yet, a gasket thinner than the original will result in less deck height (piston to head clearance). This reduced clearance may result the piston to come in contact of the head causing permanent damage. 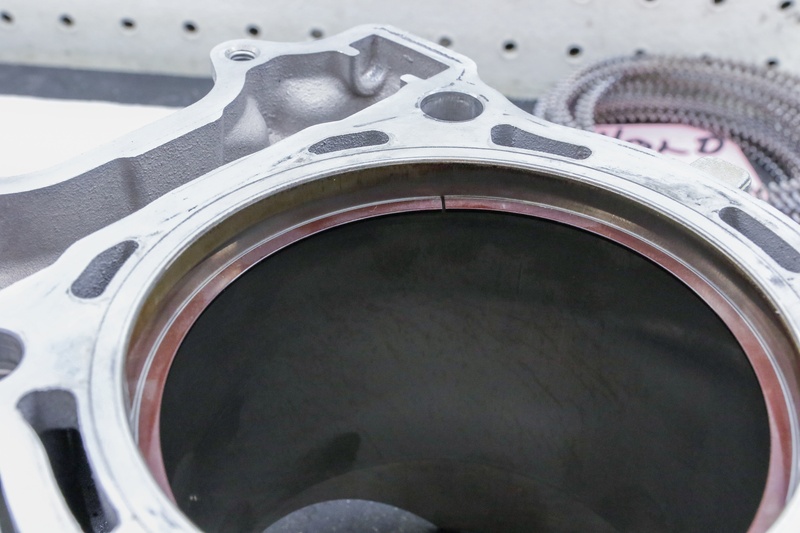 After placing the gaskets, be sure while assembling the piston in the cylinder that the ring gaps are in proper placement. Check your engine manual for proper placement of the piston gaps. Then, install the head. Many motorcycle manufacturers have a desired head nut tightening sequence. Refer to their procedures while doing this. Most companies give the head nut torque rating with the washers, nuts and studs being clean and dry. That means if you use oil or a thread locking compound the studs will be over-stressed due to the over-tightening of the head nuts. Engines have been damaged by this. Now you know, follow what the engine manufacturer recommends! Regardless of the type of motorcycle engine you're working on, there should be a tightening sequence and torque spec for the head nuts. Pay close attention to the specs in the manual, as these are critical to prevent damage and for proper operation. Use the proper engine oil and fill to the proper level. The fuel you use should be fresh and of the proper octane. If your engine is a 2 stroke, mix to the proper fuel/oil ratio. For just about any 2-stroke, whether vintage or a newer, a 32:1 fuel/oil mixture is very common, but check your manual for the recommended ratio. Not only is it important for piston lubrication, but also for the crank bearings and seals. After all this work has been done, and you feel confident with the rebuild, what else can go wrong? So many mistakes can happen while breaking in the piston and rings, resulting in rings never properly sealing or/and piston galling. Many builders have their own procedures, but most all do heat cycling for breaking in engines. It's important to ask yourself if the rebuilt engine is still using the same carburetor, air cleaner, exhaust system, cam, compression, or if a 2-stroke, the same port work configuration? Any changes can result in air/fuel mixtures to be either too rich or too lean, resulting in engine damage. If your engine is fuel injected and in good working order, the ECU and O2 sensor should keep the air/fuel mixture correct. If you have access to an air/fuel meter, or if a 2-stroke, an EGT (Exhaust Gas Temperature) gauge, check the air/fuel mixture. Even with these tools, spark plug readings are still recommended. 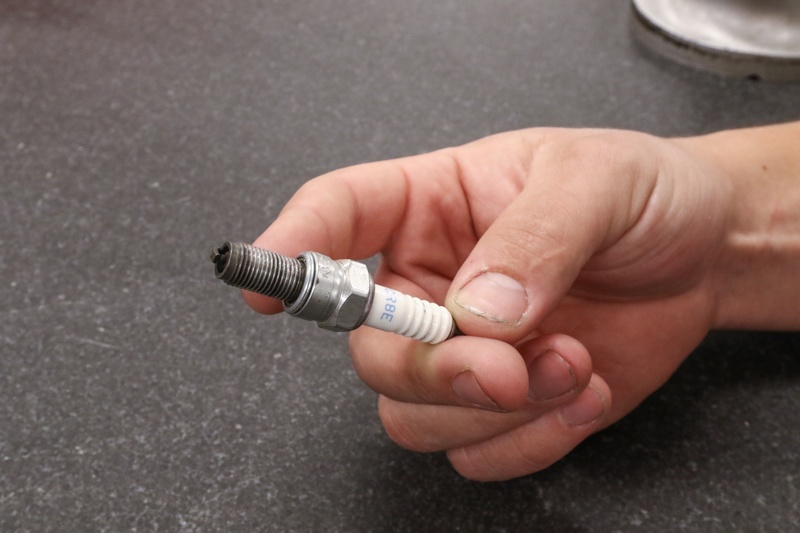 Spark plug readings are a sure-fire way of knowing if your engine is running too lean or too rich. We'll get into more detail in a later article, but generally the plug will look white when it's too lean, and dark brown or black and wet when too rich. At first start up, keep the engine just above idle and give it a few revs up and down. This power on and power off RPM breaks in the piston and rings evenly on the intake and exhaust sides. If air cooled, once the engine builds up heat where it becomes too hot to touch, shut the engine off. If water-cooled, once the engine coolant starts rising in temperature, shut the engine off. This initial warm up takes just a couple minutes. Now wait a few minutes until the engine is slightly warm to the touch, repeat #2, letting the engine get slightly hotter. Be sure to keep the engine RPMs above normal idle and keep the RPMs going up and down slowly. Let it cool again till it is slightly warm to the touch. This time, start and run longer until the engine gets near operating temperature. If air cooled, be sure you have a fan pushing air from the front. You now can rev the RPMs up a little higher, being sure not to hold it at a sustained RPM, but revving it up and down. Let the engine cool completely. Check all fluid levels to be sure there is no loss of engine lubricant, or, if water-cooled, engine coolant. After engine is cool, do a plug reading to be sure it is not running lean. Because the engine has run a few heat cycles, the gaskets may have compressed. It is VERY IMPORTANT to be sure engine is totally cooled down, and then check the torque of the cylinder head nuts. Most times the cycling head nuts will need some re-tightening. DON’T over-tighten; just tighten to manufacturers’ specification as you did when assembling the engine. Next, warm up the engine for a couple minutes as you did in the other procedures. Ride the bike, revving the engine up to normal riding RPM. Be sure NOT to keep the RPM too low and don’t lug the engine. These low RPM’s actually puts much more stress on the engine parts. If this is a dirt bike, running on a track is best due to the up and down RPMs the engine will experience. Don’t be afraid to run it normally. If this is a road bike, a curvy road is best due to the RPMs going up and down, this is a must! Don’t lug the engine and don’t go on an open highway that keeps the engine at a sustained RPM. This first initial ride will only be about 5 minutes. Let the engine cool till you can touch the engine. Follow the same procedure as above, but this time running for 10 minutes. This will be your last break-in run. Follow the above procedure and run for 15 minutes. Now is the time to let the engine totally cool down again. Check the fluids as you did before after the engine has completely cooled down, and do another spark plug reading. It is now time to do another check of the cylinder head nuts for proper torque. Sometimes no additional tightening is needed, but don’t be alarmed if you need to, because this is normal. Check all your fluids once more after the engine cools, inclduing coolant and oil level. At this time the rings and piston should be broken in. Go out and ride it. The first few times, just be sure not to get the engine overheated, but your ride times are not restricted. It never hurts to do another spark plug reading and double-check the head nuts after your first long ride. Enjoy your rides, and be safe!